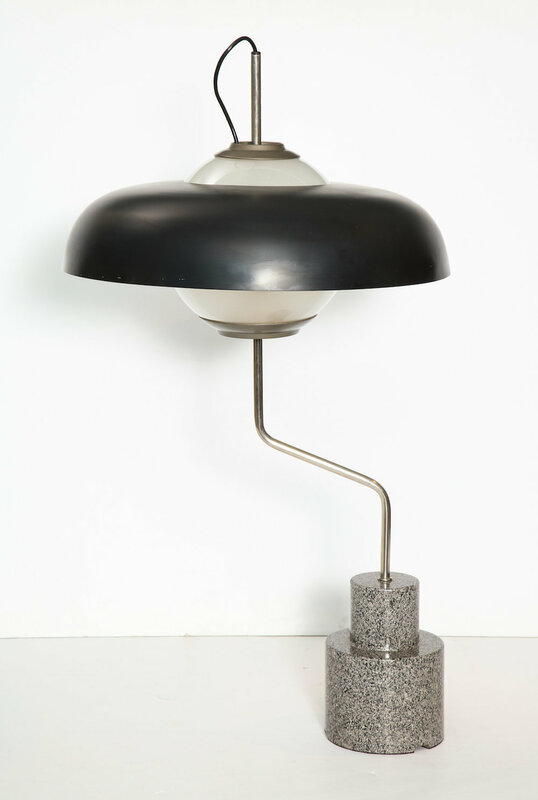 Monumental table lamp, model Lte5, produced by Azucena. 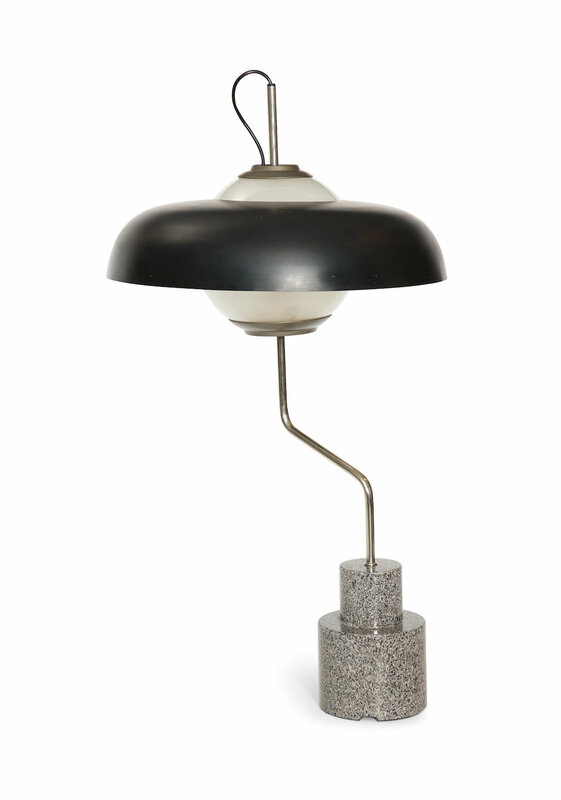 Shaped granite base, chromed metal mounts & enameled aluminum shade. Three candelabra sized sockets concealed inside of a frosted glass globe. Condition: All sockets and wiring have recently been replaced. Some minor wear to metal shade and oxidation to brass. Provenance: Private collection, Genoa, Italy.